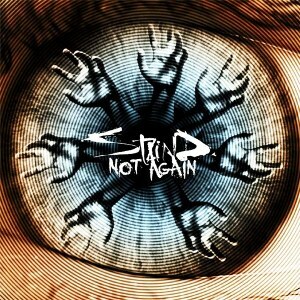 Post-grunge mainstays Staind released their latest album last year, but they have yet to go out on a cross-country, major tour to support it. Until now, that is. Frontman Aaron Lewis and Staind have announced they will tour North American this April and May in support of their latest, self-titled release, and the rest of the lineup includes female-fronted rock strongholds Halestorm and hard rockers Godsmack. The tour, billed the “Mass Chaos Tour,” will set off April 13 in Augusta, Ga. on April 13 and hit 20 cities before closing out May 18 in Bangor, Maine. Find the full tour roster, below. April 13 — Augusta, Ga.
April 15 — Estero, Fla.
April 17 — New Orleans, La. April 18 — Lafayette, La. April 19 — Bossier City, La. April 27 — Phoenix, Ariz.
May 4 — Lexington, Ky.
May 6 — Evansville, Ind. May 9 — Battle Creek, Mich.
May 11 — Nashville, Tenn.
May 12 — Huntington, W.V. May 15 — Syracuse, N.Y.
May 16 — Manchester, N.H.